On 12 September, 2002, Morrissey appeared on The Late Late Show with Craig Kilborn. This appearance featured an interview as well as performances of First Of The Gang To Die and Everyday Is Like Sunday. The later song was shown on 13 September, 2002. 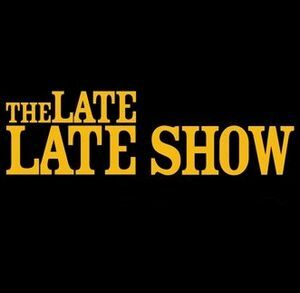 Morrissey was scheduled to appear on The Late Late Show with Craig Kilborn for five consecutive nights beginning 24 May and concluding 28 May. On 24 May it was reported that the appearances had been canceled. Morrissey appeared on The Late Late Show with Craig Kilborn on both 22 and 23 July, 2004. On 22 July he performed First Of The Gang To Die and on 23 July he performed I Have Forgiven Jesus. On 26 August, 2004, Morrissey again appeared on The Late Late Show with Craig Kilborn and performed Let Me Kiss You. On 18 April, 2008 it was announced that Morrissey would be making two appearances on The Late Late Show with Craig Ferguson on 28 & 29 April, 2008. On 28 April, 2008, Morrissey and his band appeared on the show and performed All You Need Is Me. They appeared again the following night and performed Irish Blood, English Heart. This page was last modified on 2 November 2012, at 19:46.